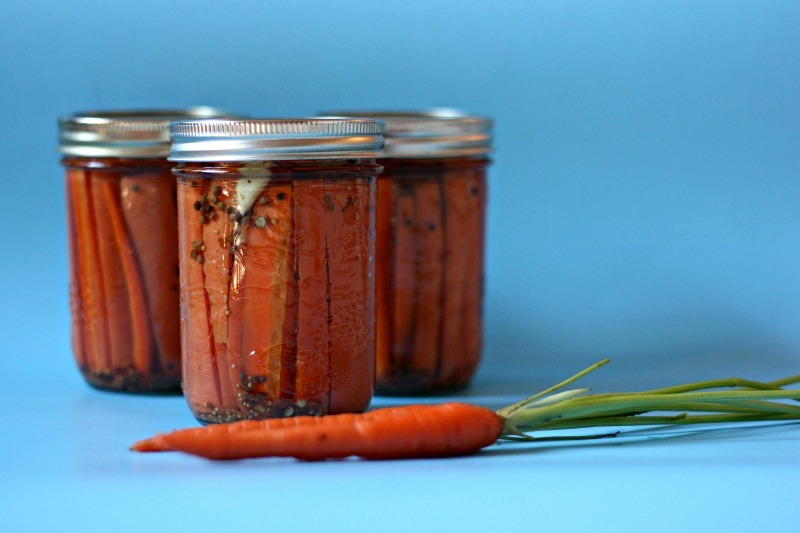 Pickled carrots… have you had them before? They are SO GOOD and so simple to make. Best of all, since carrots are readily available 12 months out of the year, you can always whip up a new batch when you start to run low. These carrots are cold packed so they are nice and crunchy (I’m not a fan of cooked carrots) and the chilli flakes gives them a nice bit of heat. My family has already put in their orders for pickled carrots for Christmas gifts. Whip up a big batch of them for foodie gifts. If you don’t want to can them, follow the recipe and omit putting the filled cans in boiling water for 15 minutes, instead place the carrots in your fridge and consume within 3 months. 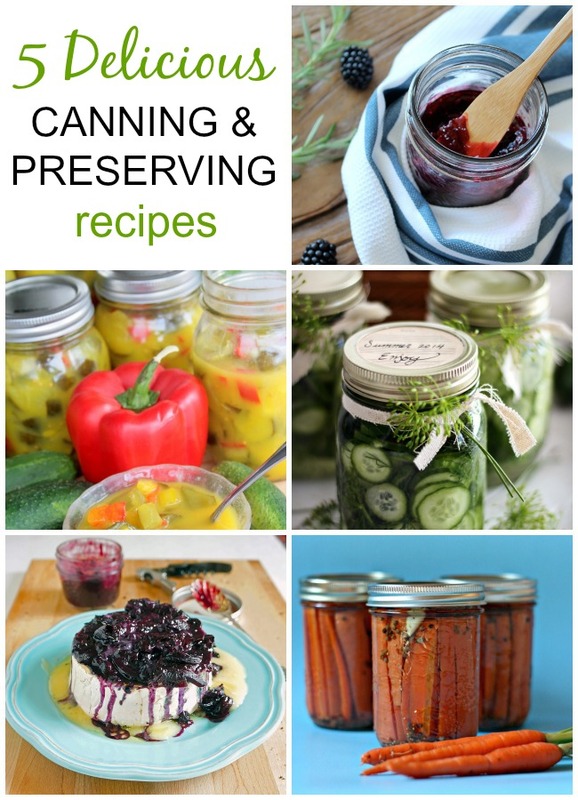 If you are new to canning please visit my Canning 101- Tips and Tricks To Get You Started Canning Today post for all the info you need to go from thinking that canning is scary to simple. One of the things that I was always scared about with canning was botulism. I recently discovered that botulism can’t live in acid so canned pickles and canned fruit aren’t at risk! That took a huge weight off of my mind, I hope it does yours too! 1 teaspoon of chilli flakes per jar (this gives a mild to medium heat, add more or less depending on how spicy you want your carrots. Clean your mason jars (you can do this in the dishwasher). In a stockpot or large saucepan mix your vinegar, water, salt and sugar and bring to a boil. In a small saucepan heat water (do not bring to a boil) and drop your canning lids in to heat. Wash your carrots. Peel them if you would like or leave the peel on like I did. 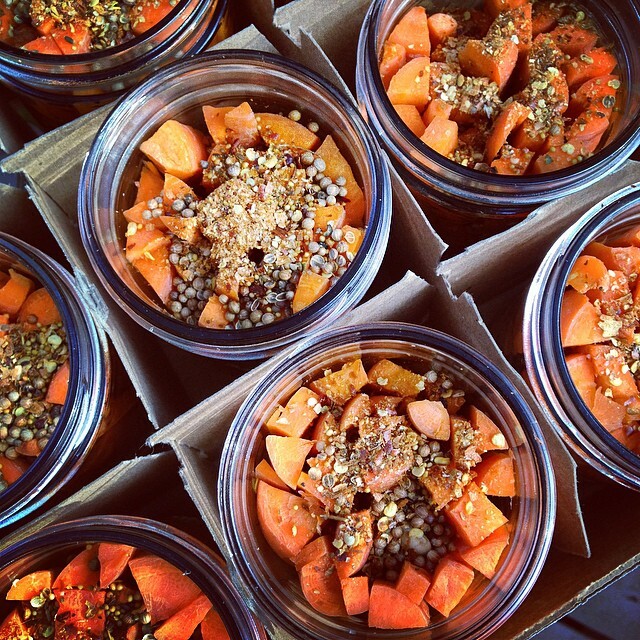 Pack each of the jars with 1 clove of garlic, bruised (I do this by hitting it with the side of a chef’s knife), 1 teaspoon of pickling spice, 1 teaspoon of chili flakes and your carrot sticks. Wipe the rim of the jar with a towel dipped in hot water, put on a lid that has been soaking in hot water then screw on a ring until it is fingertip tight. When you have enough jars prepared to fill your canning pot, carefully lower your jars into the boiling water. Wait for the water to return to boiling then set your timer for 15 minutes. When 15 minutes is up, carefully remove your hot jars from the pot and set them on top of a dishtowel or hot pads on your counter. Wait for every canners favorite sound… the pop, pop, pop of the jars sealing! 24 hours later check to make sure all of your jars have sealed. You will know that they are sealed because the center “button” of the can won’t pop up and down when you press on it or turn your jar upside down. If any jars haven’t sealed they are still fine to eat, just store them in the fridge and consume first. That’s it! Super easy right? If you have any questions make sure you pop them in the comment field below. Have I given you the canning bug? 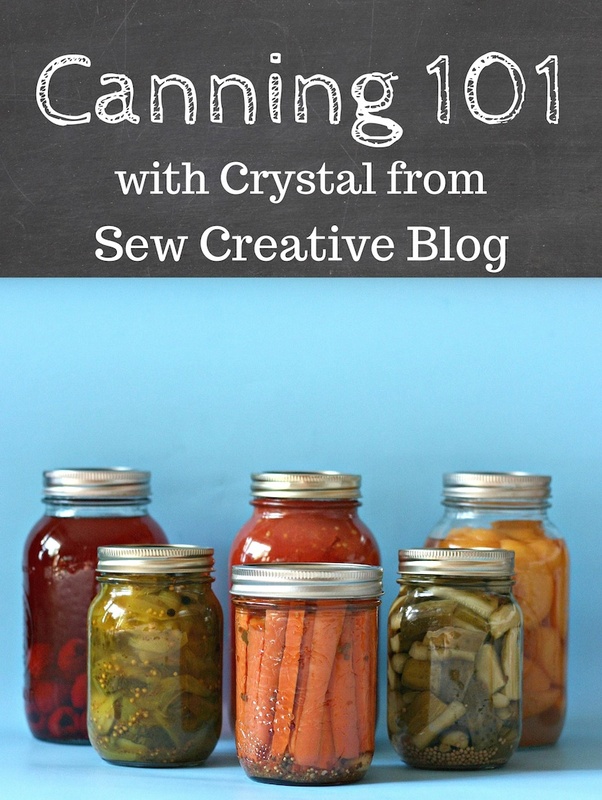 I’ve teamed up with 4 other bloggers to show you that canning is easier than you think. No matter how much experience you’ve had, there’s a sweet or savoury recipe for you! 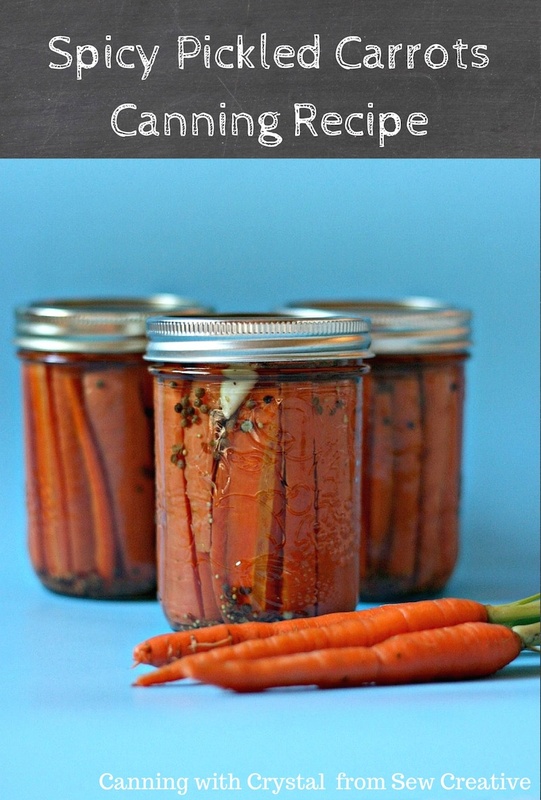 If you’re new to canning please make sure to check out my Canning 101- Tips and Tricks to Get You Started Canning Today. I’ll be sharing lots more canning recipes in the next few weeks so please make sure you stop by and/or subscribe to my newsletter in the bar at the top of your page. Like this post? Want to show us the love? Pin our recipes on Pinterest, share our recipes with your friends and comment to let us know you enjoy what you see! Feel free to drop and canning questions you may have in the comments field below. If I don’t know the answer, I’ll do my best to figure it out for you. I make something similar with jalapenos and they’re our favorite around here! Wow, you’ve really taken to canning this fall. I always tell people it’s easier than they think. Hopefully your tips will encourage someone to try it for the first time. Thanks for playing along! LOVE pickled carrots! And yes, it is easier than one might think. I was surprised at how simple it actually was! These look so good! I’m pretty new to canning, how would you convert the directions to pressure cooker canning? Thank you so much for visiting. I’ve never used a pressure canner before but I just looked up some pickled carrot recipes that do use a pressure canner. Most of them say to do either a 15 minute hot water bath OR 15 minutes in the pressure canner. I hope that helps! Looks absolutely divine! I love pickled anything but carrots would be amazing. Can’t wait to try them. Do you have to cut the carrots into carrot sticks or can you use all those weird shapes and shove in as many as you can being careful, of course of the head space? I mean the look of straight perfectly angled carrots might be lost but how fun to use up the ‘runts’ of the garden? I think you could definitely use up your garden runts! :) I’d love to see a picture if you do it that way! How fun. I love the idea of using what’s available to you. Can you tell me how long do you wait before you eat them? How long does/should it take for the hot goodness to enter into the carrot? Wonderful question! I usually wait a month before cracking open my first jar (but oh, sometimes it’s so hard!!!) The longer you wait the spicier and the more pickley (I realize that’s not a word… but it sure does fit!) they will get. Hello! I’m new to canning, I wanted to know if you knew how long I would have to hot water bath these if I live at an altitude of 6035 feet? I worry if I cook it too long they will become mushy. Thoughts? Also could this same recipe be used to include cauliflower and peppers? Or other veggies for a spicy taste? I have such a hard time finding canning versions. That is such a great question that I unfortunately don’t know the answer to! Have you tried looking up any resources for high altitude canning? I would try to find a similar pickled vegetable recipe and see how long they suggest doing the hot water bath at high altitude for. I also find that the canning companies like Bernardin are a huge help. You could try tweeting them to ask for some advice. I’m sorry that I can’t be of more help, I’d hate to steer you wrong!